Denny was on the Dan Patrick Show yesterday where he talked about everything from racing to his parties at his house on the lake. 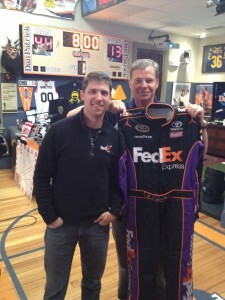 He also delivered a racing simulator to the show for an addition to the “man cave” as featured on the show. Check his interview out below.